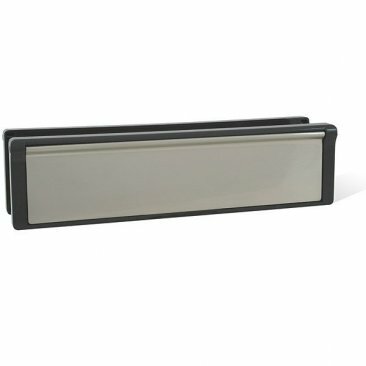 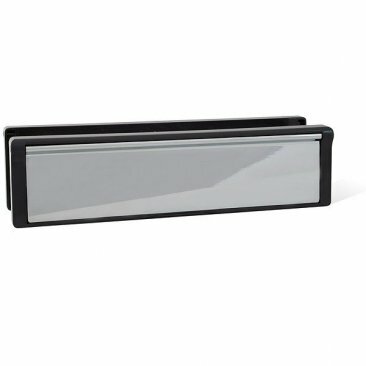 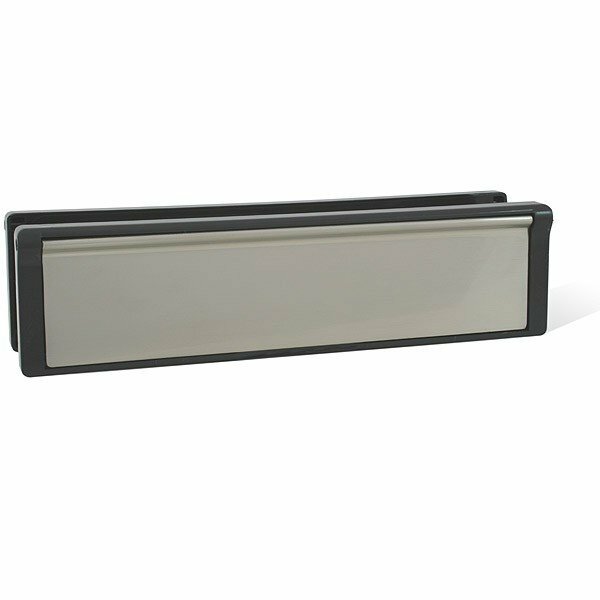 A popular selection for multiple occupancy residential buildings, our intumescent telescopic letterbox offers effective protection from smoke and fire for 30 minutes. 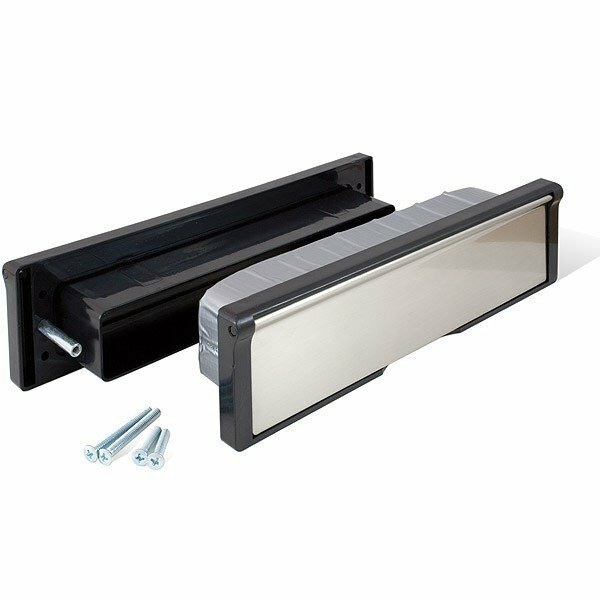 An intumescent liner surrounds the telescopic sleeve. 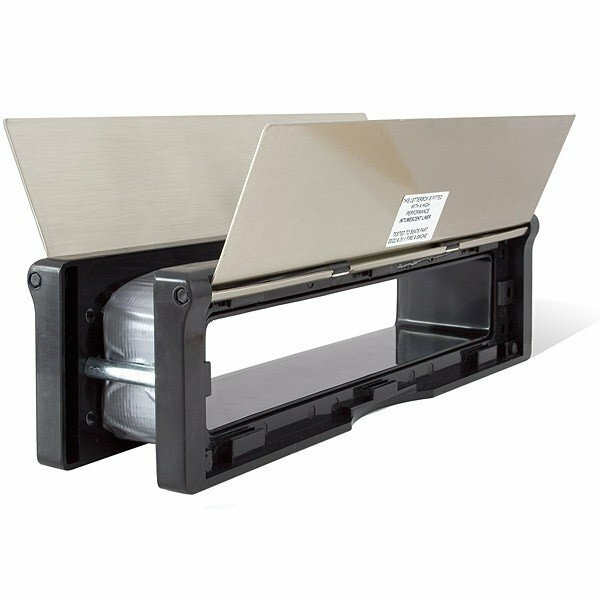 If a fire occurs, the liner automatically expands and seals the letterbox. 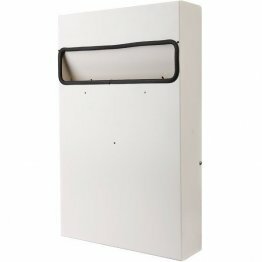 This ensures the fire is contained, and the effectiveness of the fire door is not compromised. 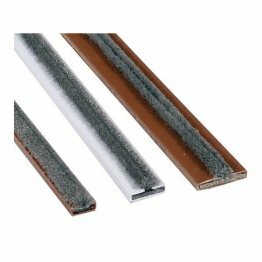 Appropriate for installation in doors measuring 40-65mm in thickness. We offer this letterbox is two standard sizes. The residential version measures 272mm x 70mm. The commercial option measures 306mm x 70mm. 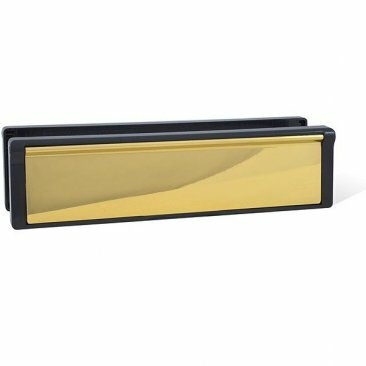 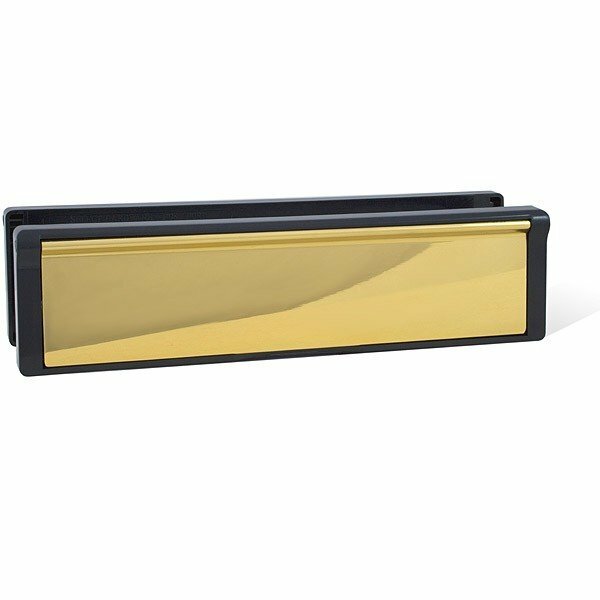 Your choice of polished brass, polished chrome, satin aluminium or stainless steel for the letter plate finish. 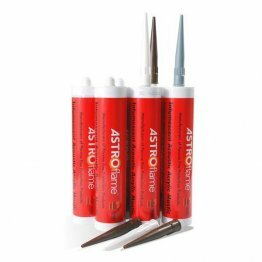 Maximum tested height of installation, as measured from the floor, is 1050mm. Tested and in compliance with all BS476 Parts 22 and 31.1 requirements.